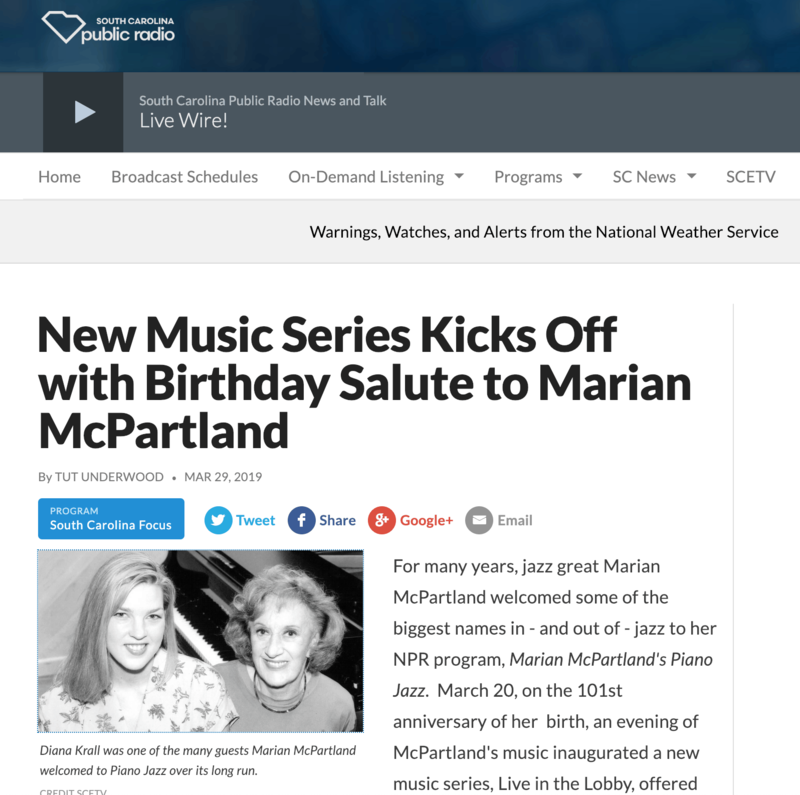 For many years, jazz great Marian McPartland welcomed some of the biggest names in – and out of – jazz to her NPR program, Marian McPartland’s Piano Jazz. 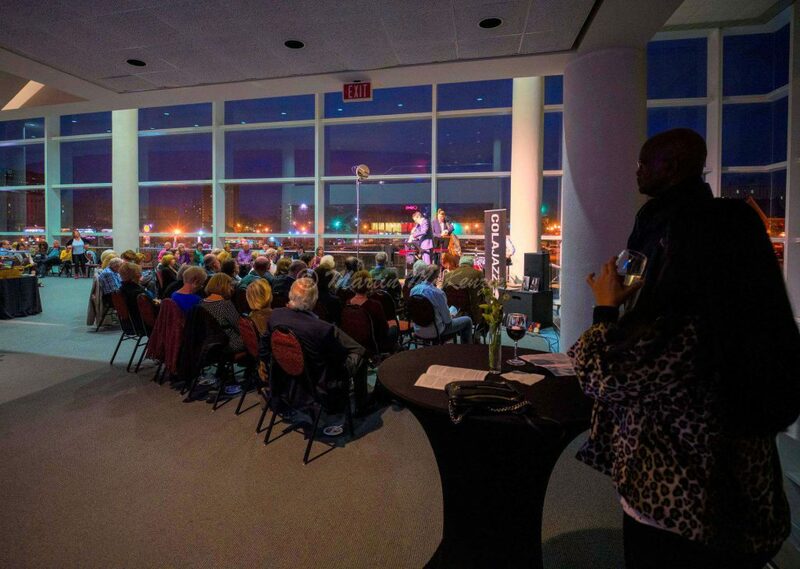 March 20, on the 101st anniversary of her birth, an evening of McPartland’s music inaugurated a new music series, Live in the Lobby, offered by Columbia’s Koger Center for the Arts. Trumpeter Mark Rapp conceived of the series with the Koger to make use of the facility’s beautiful lobby space for concerts that would be more intimate than would be appropriate for the Koger’s larger concert hall. He couldn’t think of a better way to kick things off than with the music of McPartland. “We are passionate about upholding the jazz tradition while pushing the art form further and growing our audience for all things jazz. Marian McPartland was the epitome of these ideals in both her music and public outreach.” says Mark Rapp, ColaJazz Founder and CEO.